Things are looking up for Tom Gates. The school dance is coming, and his birthday, too! What could possibly put him in a bad mood? 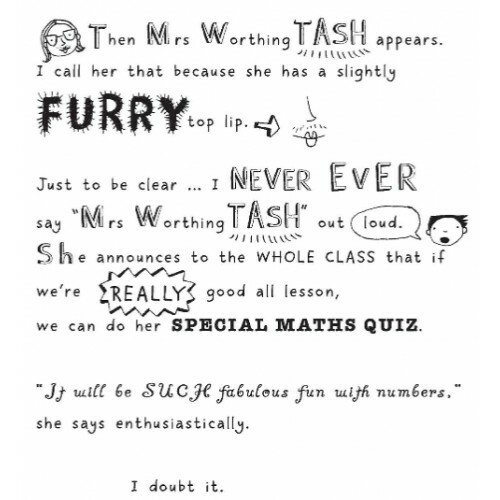 Well, the words math lesson, for one thing. And that annoying twit Marcus Meldrew at school. And Granny Mavis threatening to bake Tom’s birthday cake (carrots!). Worst of all, can it be true that Tom’s dad has volunteered to deejay the school dance wearing his wacky dinosaur costume?